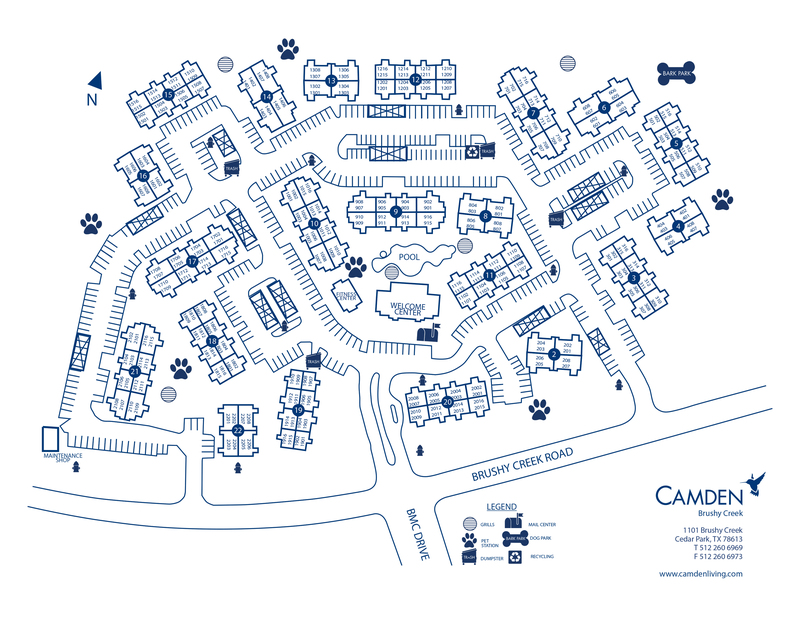 Camden Brushy Creek offers one, two and three bedroom apartment homes in Cedar Park, less than a mile from Highway 183. Recently named one of the top 10 best places to raise a family in Texas, Cedar Park is also home to Leander ISD, an award-winning school district. Come be a part of this growing area on the northwest side of Austin, Texas! Our apartment homes include open concept kitchens with spacious islands, granite countertops, and stainless steel appliances. Each apartment home also includes a full-size washer and dryer. Many apartments feature upgrades including wood-style flooring and walk-in showers. Step outside your apartment and enjoy all the fantastic amenities Camden Brushy Creek has to offer. We have a private movie theater, game lounge, and fitness center. Relax in the beautiful Texas sunshine at our pool and outdoor grilling areas. Our private dog park is the perfect place to play with your pup! 1890 Ranch Shopping Center is right around the corner along with lots of great shopping, restaurants, and entertainment. Our community is only 20 miles from the exciting nightlife in Downtown Austin and 10 miles from Lake Travis. With fantastic apartment features and community amenities, it is easy to see why Camden Brushy Creek is the perfect place to call home! Carports are available for $25 plus tax per month.